October 18 is a legal holiday in the 49th state. Alaska Day commemorates Alaska’s formal transfer from Russia to the United States in 1867. It is therefore appropriate for birders to pause and recognize significance of the Alaska National Interest Lands Conservation Act (ANILCA). It is the intent of Congress in this Act to preserve unrivaled scenic and geological values associated with natural landscapes; to provide for the maintenance of sound populations of, and habitat for, wildlife species of inestimable value to the citizens of Alaska and the Nation, including those species dependent on vast relatively undeveloped areas; to preserve in their natural state extensive unaltered arctic tundra, boreal forest, and coastal rainforest ecosystems…. Of particular significance for these purposes, ANILCA designated huge swaths of federal land in Alaska as units of the National Park System, National Wildlife Refuge System, and National Forest System. Among these lands are some of the most productive avian breeding grounds in the United States. We are setting aside for conservation an area of land larger than the State of California. By designating more than 97 million acres for new parks and refuges, we are doubling the size of our National Park and Wildlife Refuge System. By protecting 25 free-flowing Alaskan rivers in their natural state, we are almost doubling the size of our Wild and Scenic Rivers System. By classifying 56 million acres of some of the most magnificent land in our Federal estate as wilderness, we are tripling the size of our Wilderness System. Describing the quantity and quality of land set aside by ANILCA requires a string of superlatives. For example, at more than 8 million acres, Wrangell-St. Elias NP is the largest U.S. National Park. Gates of the Arctic NP (7.5 million acres), Denali NP (4.7 million acres), and Katmai NP (3.6 million acres) are numbers two, three, and four, respectively. For comparison, Yosemite NP in California is about 760,000 acres. But the National Parks are dwarfed by several gigantic National Wildlife Refuges, including Arctic NWR (19.2 million acres), Yukon Delta NWR (19.1 million acres), and Yukon Flats NWR (8.6 million acres). In fact, the ten largest National Wildlife Refuges are in Alaska and most were created or supplemented by ANILCA. For comparison, Aransas NWR in Texas is about 115,000 acres and Bosque del Apache NWR in New Mexico is under 60,000 acres. ANILCA also added millions of acres to Chugach NF and Tongass NF, two of the largest National Forests in the United States. For some of these lands, Congress mandated that they be managed primarily for the “conservation of fish and wildlife and their habitat,” a rarity for National Forests, which are generally managed for multiple uses, including resource extraction. Collectively, ANILCA set aside approximately 100 million acres, including millions of acres that were designated as “wilderness,” the most protective of federal designations. ANILCA will be the last designation of protected federal land that even approaches this magnitude. ANILCA lands are not just vast, they are critical for an extraordinary variety of birds. Many locations have been designated Important Birds Areas (IBAs) and/or have been recognized by the Western Hemisphere Shorebird Reserve Network. ANILCA lands are essential to several Pacific tubenoses, including Fork-tailed and Leach’s Storm-Petrel; and Northern Fulmar; as well as seabirds such as Common and Thick-billed Murre; Pigeon Guillemot; Marbled, Kittlitz’s, and Ancient Murrelet; Cassin’s, Parakeet, Least, and Crested Auklet; Horned and Tufted Puffin; Red-faced Cormorant; and sea ducks such as Steller’s, Spectacled, King, and Common Eider; Harlequin Duck; Black, White-Winged, and Surf Scoter; and Long-tailed Duck. The numbers can be staggering: Alaska Maritime NWR alone supports approximately 40,000,000 nesting seabirds. Yukon Flats NWR is one of the most productive waterfowl breeding areas in North America. The lakes, ponds and wetlands of the Yukon Flats support huge numbers (approximately 1.5 million) of waterfowl, including American Wigeon, Northern Pintail, Northern Shoveler, Mallard, Lesser Scaup, Canvasback, as well as Canada and Greater White-fronted Goose, and Tundra and Trumpeter Swan. Other sites are critical to shorebirds. 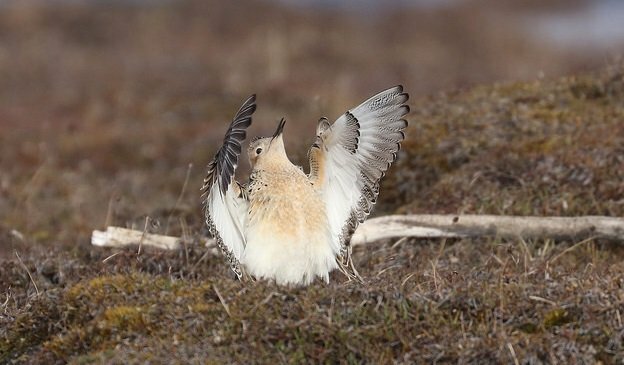 For example, each year up to 500,000 shorebirds use Yukon Delta NWR, which supports one of the largest and most diverse populations of breeding shorebirds in the Western Hemisphere, including Western Sandpiper, Black Turnstone, Dunlin, Red-necked Phalarope, Wilson’s Snipe, and many others. (The Cornell Lab of Ornithology has an excellent video about Yukon Delta NWR here.) 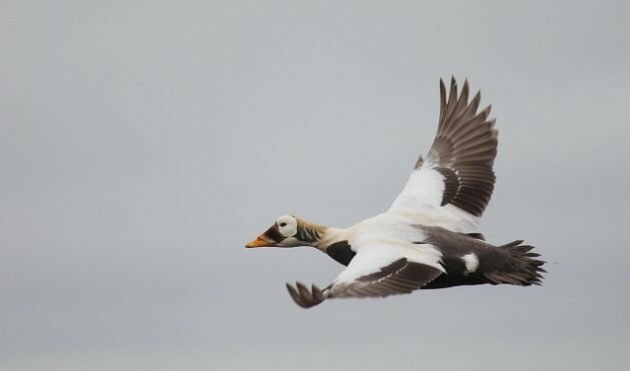 More than a million ducks and half a million geese, including Emperor Goose, also breed in the Yukon Delta. The Copper River Delta (part of Chugach NF) is also an important stopover location for shorebirds, as well as a significant breeding area for ducks and geese. Of course, countless other birds utilize lands set aside under ANILCA, either as residents or migrants. 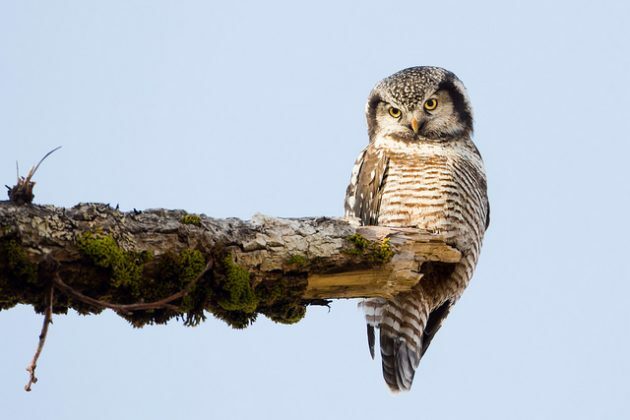 This includes northern specialty species such as White-tailed, Willow and Rock Ptarmigan; Northern Goshawk; Snowy, Northern Hawk, and Boreal Owl; Gyrfalcon; Canada Jay; Boreal Chickadee; Arctic Warbler; Bluethroat; Northern Wheatear; Varied Thrush; Eastern Yellow Wagtail; Gray-crowned Rosy-Finch; Lapland Longspur; Snow and McKay’s Bunting, and many more. Of course, ANILCA did not resolve all conservation issues in Alaska, even on ANILCA lands. For example, development (i.e., drilling for oil) within the Arctic NWR remains contentious, as does logging within Chugach and Tongass National Forests. While the acronym “ANILCA” may be largely unknown to birders, its impact on birds has surely been significant. Photos: Tufted Puffin, Buff-breasted Sandpiper, Northern Hawk Owl, and Spectacled Eider, (Alaska Region USFWS).